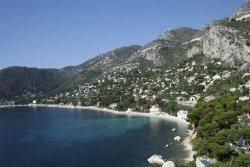 My French Riviera Rentals specialises in holiday rentals throughout the year for homes located in Villefranche-sur-Mer, St Jean Cap Ferrat, Beaulieu sur Mer and Eze. We are a small locally based company in Eze-sur-Mer and have been involved in the property market on the Riviera for the last 15 years. We may be small but we have a range of experience in the hospitality industry to draw from, including holiday rentals on the Riviera, hotels in the Far East, airlines in the Middle East and catering on the West Coast of the US. Usually a stock photo is presented or non-professional photos. Varies with commissions going up to 35% or more. Outsourcing is common among our competitors. Theft Control and Quality Cleaning � Cleaners Paid Hourly, Not Per Unit! Most companies pay cleaners per unit resulting in hurried service. Many companies do not allow guests to pick a specific unit much less show current calendars. Usually limited in hours per day as well as days per week.